Clearly the sage advice of our advisory council carried the day. So there you have it. The truth. I wish I had more time to read blogs, as there are so many awesome ones out there. So many that I’ve stumbled upon here and there when googling things like “homemade remedies for burned skin” and “how far past an expiration date is barbeque sauce still safe to eat?” Or even deeper things like “how to deal with a child who is not obeying you” and “do mothers of boys really die younger than mothers of girls?” So many that I’d like to stop and add my email address into their inviting boxes so I’d get their latest posts in my email inbox. So many that I like on Facebook, but since I’m barely on Facebook for personal reading time, I don’t see all their inspiring posts to know how awesome they are all the time. But, none of that is a problem, really, unless one is trying to list at least five inspiring blogs. I almost emailed a few bloggers to ask for their help with this. But instead I’ve made my peace. I’m at peace with my blog reading limitations and priorities. I’d rather be in the moment with my children and be the best mother I can be. The nights I’ve stayed up reading Simple Homeschool and other blogs, I get to bed so late I’m short on patience the next day with my kids and that relaxing, late night reading time has backfired on me. So as a homeschooling, stay-at-home mother whose youngest little one has been in a fiercely attached phase lately (thus rarely going out with my father for long, so I can get some precious moments of quiet to tend to various family, personal, and business needs), serious blog reading is for another chapter or season in my life. Maybe I’ll pick up a few each year or season, or maybe not. Because this is the time for me to focus on the family that needs me. Oh, but this was supposed to be about accepting and spreading Sunshine, so let’s get back to that! * Link back the blog who nominated you: Leanna at All Done Monkey is really special! She’s so generous in spirit in all that she does – from running an inspiring Random Acts of Kindness series on her blog to creating community amongst like-minded bloggers. Please visit her blog! * Post the award images in your blog: See above. 1) I was born on an island in East Asia. 2) I didn’t always have curly hair. It was pin straight as a child. I’m not sure why it turned curly. 3) I am in the final stages of writing a juvenile novel. Juvenile like it’s written for 8-12 year olds, not juvenile like I’m, an 8-12 year old. 4) I really do like penne bake. 5) I have a day job in a World Heritage Site. 6) My kids love that I pick out really great library books for them to read. 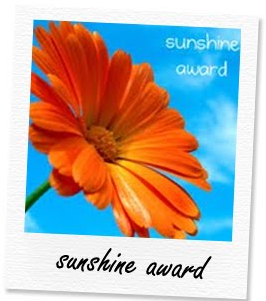 7) My wife loves everything about me, including that I agreed to accept the Sunshine Award. 1) I was born in a desert in Western Asia. Although my passport has collected dust since I became a mother, I love sharing my love of the world with my kids and others. 2) I didn’t always have gray hairs. Three pregnancies later (five including partials), I have a lot of them. They are strangely curly. 3) I am in the final stages of giving Scott feedback on his juvenile novel. See his clarifying note above. 4) I love cooking. I also love it when the kids get involved in cooking and create their own masterpieces. I also love gardening and digging in the dirt with the kids, singing, painting, and so much more. 5) I love my day job, even though it truly is the hardest and most exhausting job I have ever had. Mothering is truly awesome. 6) My kids love that I homeschool them, check their bottoms, and have hair they can play with. I’d like to think that their adult selves will thank me for taking the off-ramp from working full-time for a spell to care for my tender saplings first-hand, everyday, in our own little homegrown school. 7) I’ve been married 19 years to my best friend. In order to make it another 19, we hearby declare that this blog has a new policy starting tomorrow: We do not accept blog awards, but thank you for considering us. Unless, of course, if the award carries considerable fame or prize money. Or recipes. This policy is subject to change at any time. Readers, please check these out and also send us your favorite recipe link! 🙂 After all Scott has been through over this, it’d be nice to try some new recipes (ideally nothing that requires constant stirring please). And if you have any sunshiney blogs you’d recommend we check out, please share those too. And again, thanks to Leanna at All Done Monkey for the excuse to share some honest behind the scenes discussions from the Tender Sapling conference room car. Now, back to the car so we can consult on our new products in development and take bets on how many more diaper days our youngest has in him. This was hilarious 🙂 And thanks for nominating me he he he 🙂 Your kids (and husband) are lucky to have you! Thanks, Chelsea! Glad to have brought some sunshine to your day. 🙂 Your new blog is lovely – keep up the inspiring work! You two are so funny! See why I nominated you?? Tell Scott I will be happy to send him some recipes if he’d like 😉 And I totally get about not being able to follow blogs! I find it really frustrating that I am not able to keep up with even a few blogs, but then I remind myself that I will have more time for that when the boys are older… if blogs are still around by then! You are too sweet, southern girl! Love that I know random facts about you now – thank you Sunshine! 🙂 We are always interested in trying new recipes and would love one from you. 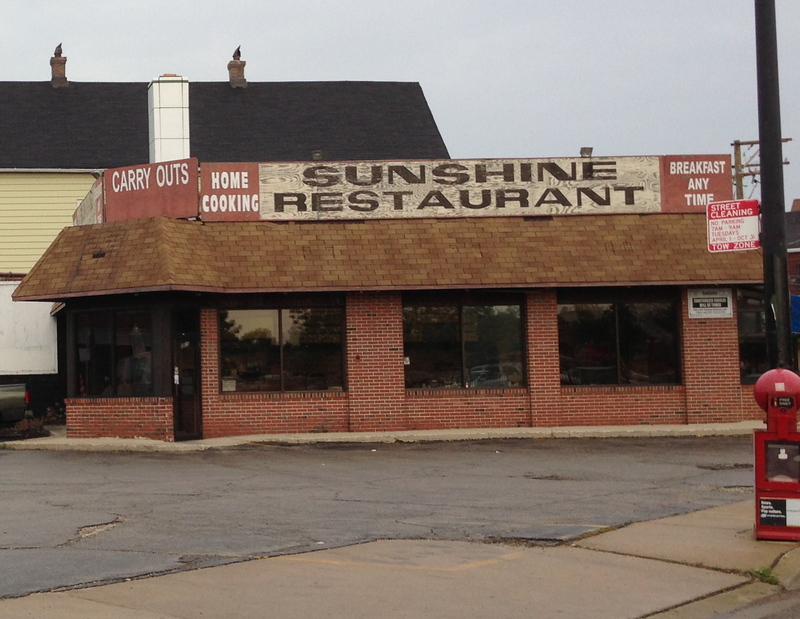 You know we’d have to rename the dish “Leanna’s Sunshine …” and it’d be famous in our home. 🙂 Thanks for sharing that blog following is harder than you might like too. Do enjoy those precious boys of yours! It’s so true that the years are short! Love the venus / mars shtick. You guys need to do more media. How about posting that video that Liam and you starred in when he was like 2?